The Woodlands Transit provides vehicles that are operated by professional drivers. All of our SUVs, minivans, and sedans are maintained and checked regularly and held to a high standard. Our vehicles are the latest models and can provide you with the best comfort, while getting you to your destination on time. Whether you need to go to the airport, to work, or just want a ride out on the town, The Woodlands Transit will be waiting for you at the front door. If you are looking for a reliable, trustworthy, and comfortable taxi service or limo service, then we are the company for you. Our fleet of vehicles and professional drivers guarantee you a safe ride. We will always get you there on time. When you book with us, you will never want anyone else to drive you again. Reservations are suggested to make sure we are informed about the details about your trip that matter most for your transportation. Real service is measured in satisfaction and our customers are our number one priority, every single ride. Never worry again if you are going to make your plane, miss a meeting, or be the last one to show up at a party. The Woodlands Transit assures you, we will pick you up early and get you to your destination with time to spare. You can count on us. Enjoy riding, we will do all the driving. The Woodlands Transit wants to take you whenever, wherever you need to go. 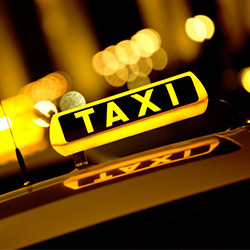 Book your taxi, limo or black car service and we will get you where you need to go.